A great way to enhance the look of your property, whether it’s residential or commercial, is to install a wooden floor. What the floor fitters in St John’s Wood NW8 can do for you is take your personal style and install a floor that meets your expectations. You’re the one in charge from inception, through the first consultation visit until the completion of the project. In the end, you get to marvel at a floor that will stand the test of time. You Get Something that Lasts Decades: We work with longevity in mind, which is why we only buy the highest quality oak, cherry, ash, maple, pine and walnut on the market, for our projects. We send in a team of experienced wood and parquet floor fitters to perform a no-obligation on-site consultation to determine the layout. In case the floor is not even, we perform a careful concrete subfloor leveling for a solid foundation. We may also do some sound and damp proofing as preparation for the floor installation if you wish. After the floor installation, you have several options to tie the whole space together with skirting board and beading installation or have your door and door frames trimmed a bit. Why Should You Choose The Wood Floor Fitters in St John’s Wood? Floor installation is a not a simple process as it requires skill and expertise to execute properly. 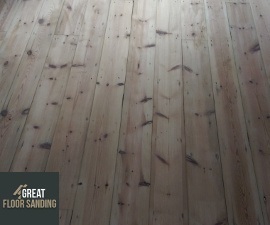 All members of the staff of wood floor fitters in NW8 have long experience working in the industry and have seen the successful completion of numerous floor installations. You can be sure you’re hiring true professionals who use only the top equipment and premium materials to do the job. In the end, you get a wood floor that looks amazing and has been made to last for decades. Now that you have decided on installing wooden floors, call 020 3404 9697 to get in touch with the office and schedule your no-obligation on-site consultation. You can contact us every day of the week from Monday to Sunday with the inclusion of bank and national holidays. All of the wood floor layers in NW8 are here to help you create a unique service package and accommodate all your needs whether you want more information regarding our services or want to make alterations to an existing appointment.